Aerosol and cloud parameters are known to be the influencing factors of the Indian summer monsoon rainfall (ISMR) variability at interannual and intraseasonal scales. 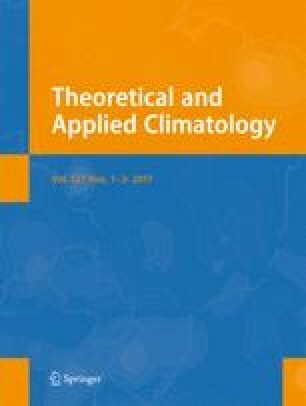 In this study, we investigate the impact of remotely sensed aerosol optical depth and associated parameters (cloud fraction, cloud optical depth, cloud effective radii, cloud top pressure, and single-scattering albedo) on the individual active (break) spells of the Indian summer monsoon (ISM) season. Active and break spells are identified using satellite-derived data sets over the central Indian (CI) region. The present analysis suggests that the CI region is loaded with higher aerosol concentration and that rainfall is significantly negatively correlated with aerosol optical depth (significant at 1 % significance level) over CI. Contrary to the composite-based previous studies, it has been observed that the aerosol loading and cloud properties are considerably different during the individual active and break events. For break events, composite representation shows that aerosols are stacked along the Himalayan region while all individual break events do not portray this type of aerosol dispensation. It appears from the present analysis that the aerosols may impact the intraseasonal variability of ISMR through its indirect effect by altering the cloud properties and consequently the rainfall. Therefore, aerosols are supposed to be a regional contributor in affecting the intraseasonal variability of summer monsoon rainfall. • Definition of active and break days based on satellite-derived rainfall data. • Association of remotely sensed aerosol optical depth and other related parameters with intraseasonal variations of Indian summer monsoon rainfall. • Addressed the importance of aerosol and cloud properties on individual active and break events of Indian summer monsoon. The online version of this article (doi: 10.1007/s00704-015-1640-6) contains supplementary material, which is available to authorized users. The present work is a part of TDP and the first author would like to thank IIRS for providing computational facility to carry out the present work. Analyses and visualisations used in this paper were produced with the Giovanni online data system, developed and maintained by the NASA GES DISC. The rainfall and other data sets are acquired from the web links http://gdata1.sci.gsfc.nasa.gov/daac-bin/G3/gui.cgi?instance_id=TRMM_3B42_Daily, and http://gdata1.sci.gsfc.nasa.gov/daac-bin/G3/gui.cgi?instance_id=MODIS_DAILY_L3. We also acknowledge the MODIS mission scientists and associated NASA personnel for the production of the data used in this research. SSA data set is procured from http://gdata1.sci.gsfc.nasa.gov/daac-bin/G3/gui.cgi?instance_id=omi and authors thank the OMI International Science Team for the satellite data used in this study. The HYSPLIT model was used from the http://ready.arl.noaa.gov/HYSPLIT.php and the authors gratefully acknowledge the NOAA Air Resources Laboratory (ARL) for the provision of the HYSPLIT transport and dispersion model and/or READY website (http://www.ready.noaa.gov) used in this publication. We also thank anonymous reviewers and editor for their constructive comments.